ITW Construction Products is internationally renowned as an innovator and leader in the manufacturing of pneumatic nailing systems for timber offsite construction. 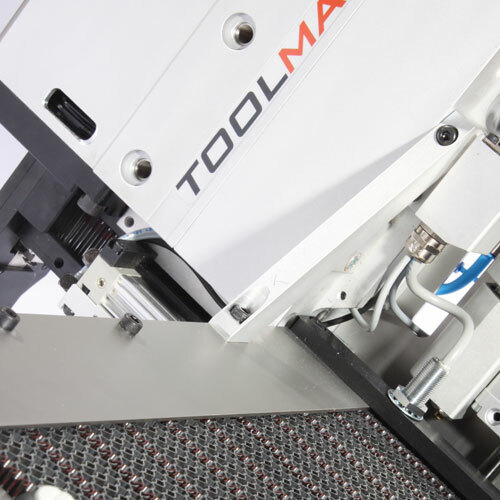 By combining the specialist capabilities of our Paslode brand with our unique Toolmatic solution for automated fastening we are able to offer a wide range of pneumatic tools and fasteners, to meet the needs of the timber frame, roof truss and engineered floor manufacturer. Paslode offer two differing fastening solutions for your framing requirements. Our plastic strip nails are flexible as a result of the strong plastic used in the collation of the thermoplastic strip nails not allowing the strip to break apart, even in extreme conditions. Centred nails also allow uninterrupted operation. Plastic collation allows for full round head nails and is weather resistant. Our Paslode paper laminated tape nails will not break when dropped and will not deteriorate in wet weather. Also no collation material is left on the job site. PL-tape collation is driven into wood to reduce flagging. The D-head nail configuration allows for tight collation of the nails – more nails per strip, less down time. The F250 positive placement nailer and hardened square twist nails is the ideal solution for fixing our Cullen hangers, providing a specialist probe nosepiece for locating preformed holes, giving increased production benefits of nailing up to three times faster than hand nailing. Our unique Paslode 0° plastic coil nails provide major safety, productivity and quality benefits. This method of collation ensures the high quality corrosion protection is not damaged by any violent process (like welding). This mitigates the issue using inferior wire-welded coil nails, when shards of welding wire can fly loose causing injury to the operator or be trapped under the nail head, potentially tearing sheeting material. Independent salt spray tests show the nails can last 15 times longer before showing signs of rust compared to the wire welded equivalent. In addition, the precision moulded plastic tape collation transports extremely well with no production halts due to misaligned nails as is often the case with wire welded coils. 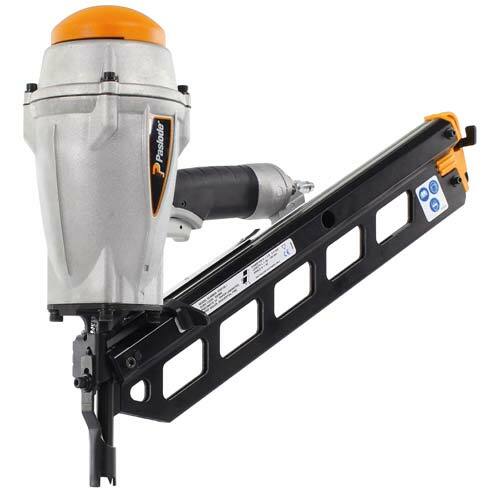 In addition to this key application we have introduced our Paslode LCP65 coil nailer for plasterboard. Special concave head nails provide a solid fix without ripping the cover paper and a better key for plaster skimming. The LCP65 also has the capability to fix plasterboard using our nail screws which offer a superior screw fixing but with the speed of a nail. Our Paslode staple range offers both stainless steel and galvanised staples for required offsite applications such as fastening breather membrane or cladding as well as corrugated fastener tools for temporarily fixing roof truss joints prior to pressing nail plates. Our innovative Toolmatic range of tools brings major benefits in reliability, durability, high speed and long service intervals. Toolmatic tools are designed specifically for automation with only one air feed and one power line to attach. 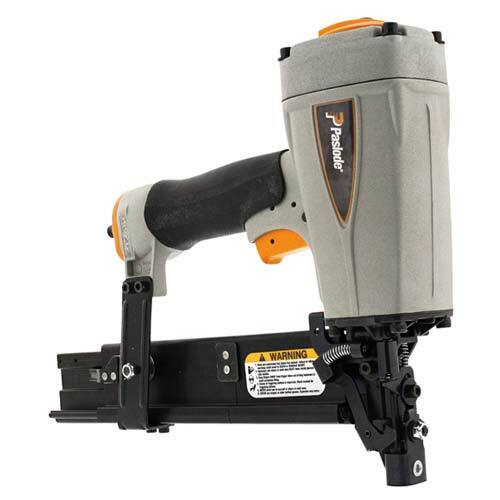 This simplifies attachment and eliminates the mess of wires required for modified hand tools. Toolmatic modular construction allows us to create a solution geared to the precise requirements of each production line, from a wide range of optional features and fastener systems. This maximises productivity, whilst eliminating the cost of unnecessary features.